Large group accommodation is our middle name. It’s our stellar service and affordable rates that makes the Commodores Inn a favorite venue for meetings, conferences, corporate retreats, and other group events. Like luxury resorts in Vermont, our expert staff is with you every step, from the initial inquiry through your function’s completion. Our job is to make your job easier. 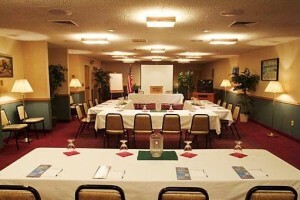 Our large conference room allows accommodation for large groups, seating 75 comfortably. Smaller break-out rooms are available for more intimate groups and workshops. We offer all the amenities needed to get your work done. Please click here for more details on rates. Like other ski lodges in Vermont, we’ll happily customize the meeting experience for you. Please call or email us to start discussing your options.